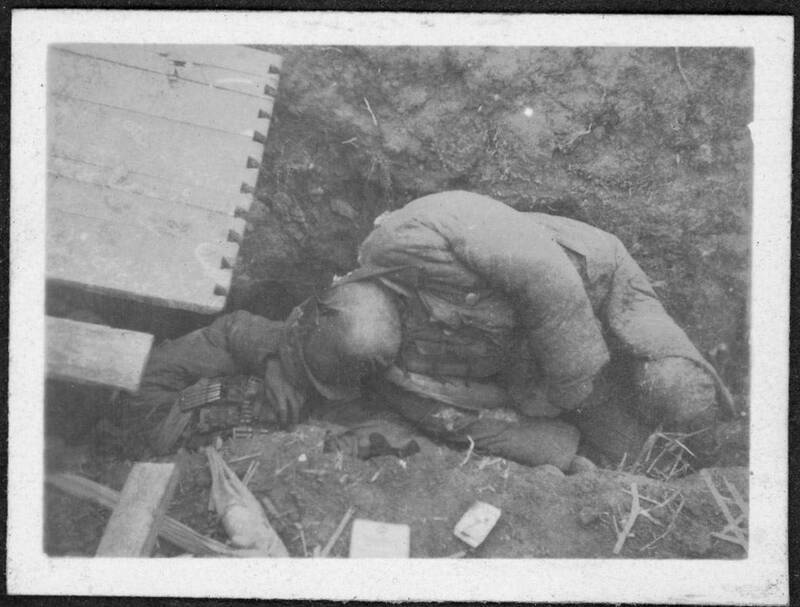 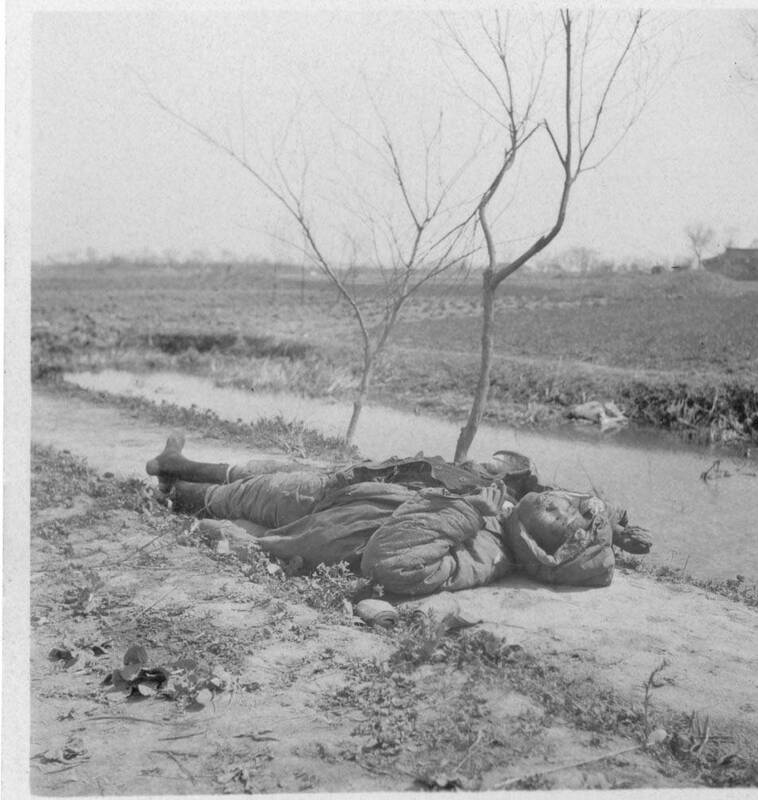 … A week after the ceasefire my parents and their friends set out on a tour of the silent battlefields to the south of Shanghai. 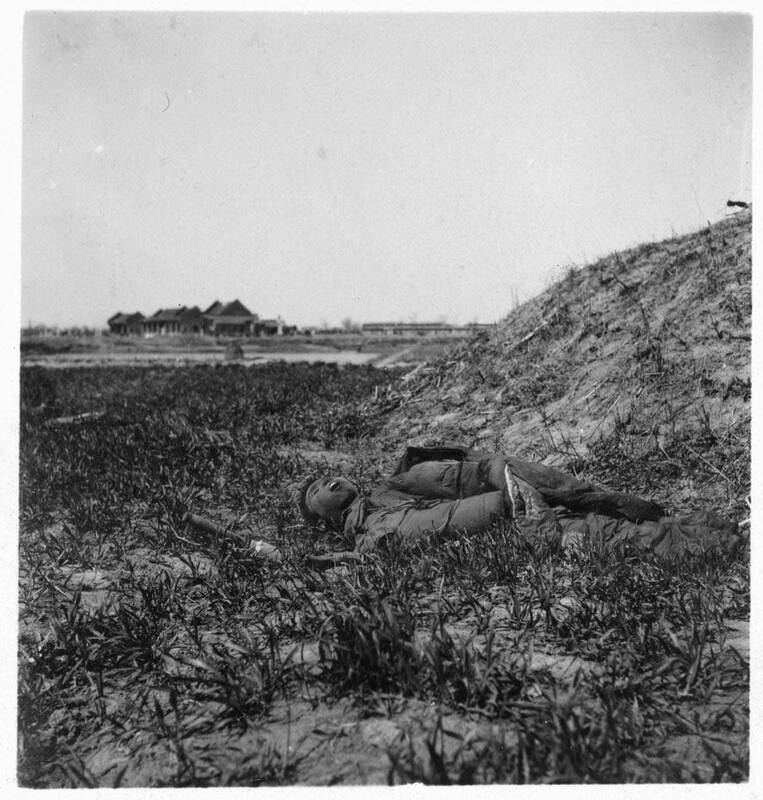 A motorcade of chauffeur-driven Packards and Buicks, filled with children, smartly dressed mothers and their straw-hatted husbands, moved past the shattered trenches and earth bunkers, like the landscape of the Somme I had seen in the sepia photographs of the Illustrated London News. 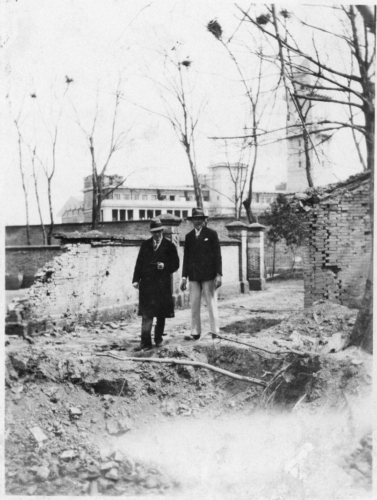 The Ballards travelled to the south of Shanghai in 1937; Winston, Prudence and their friends travelled north. 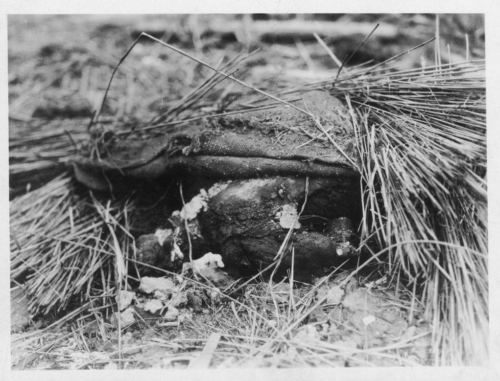 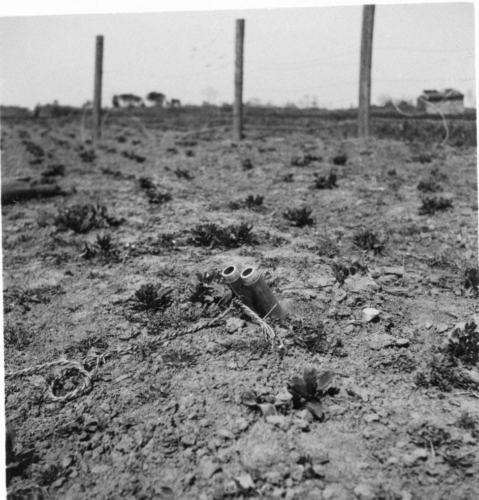 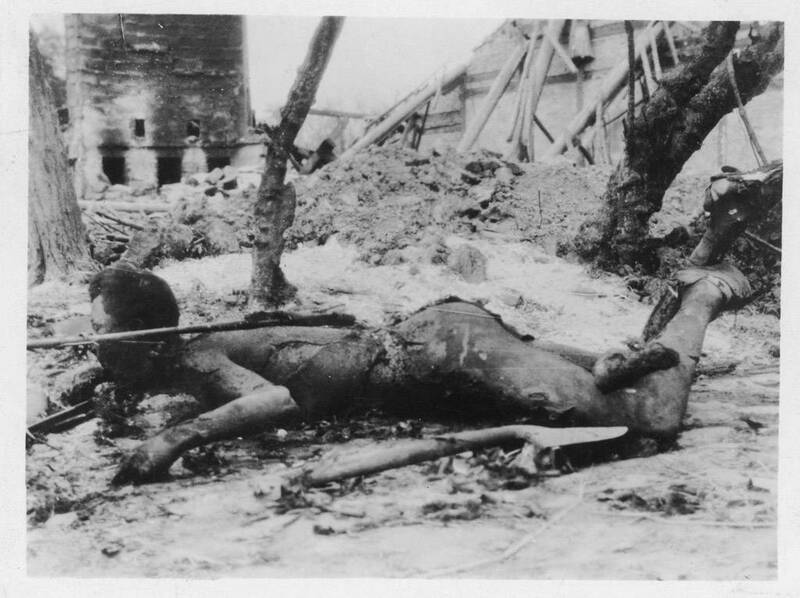 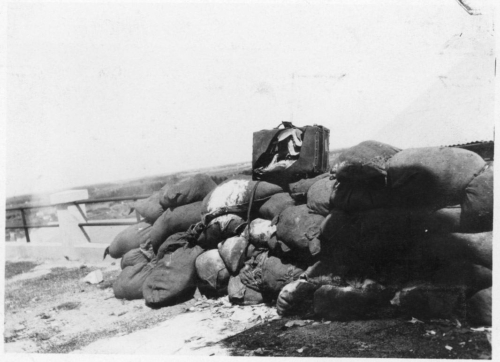 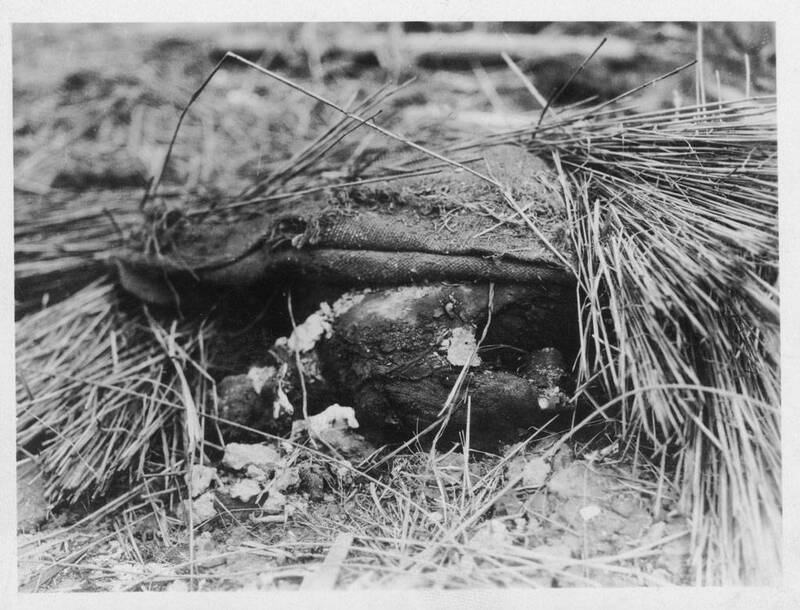 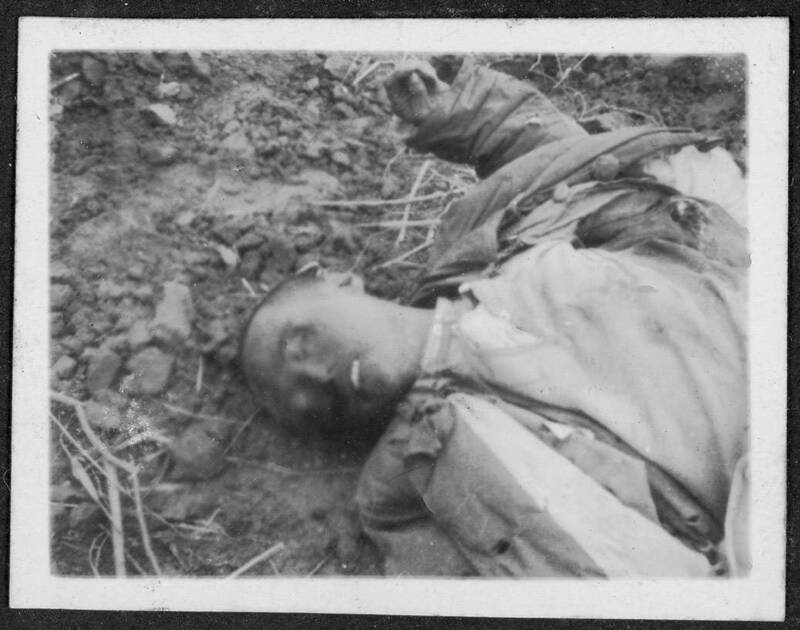 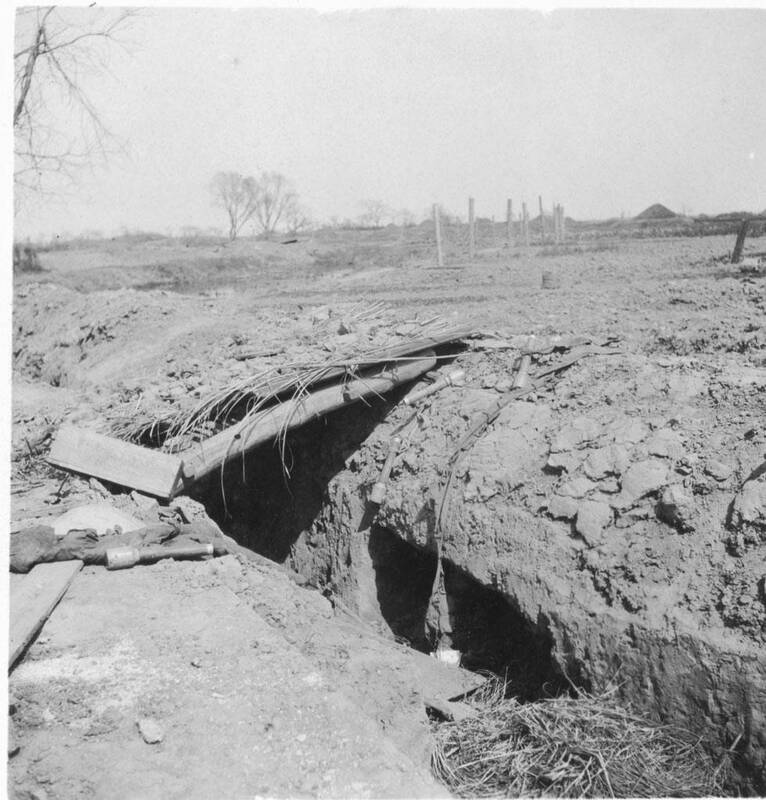 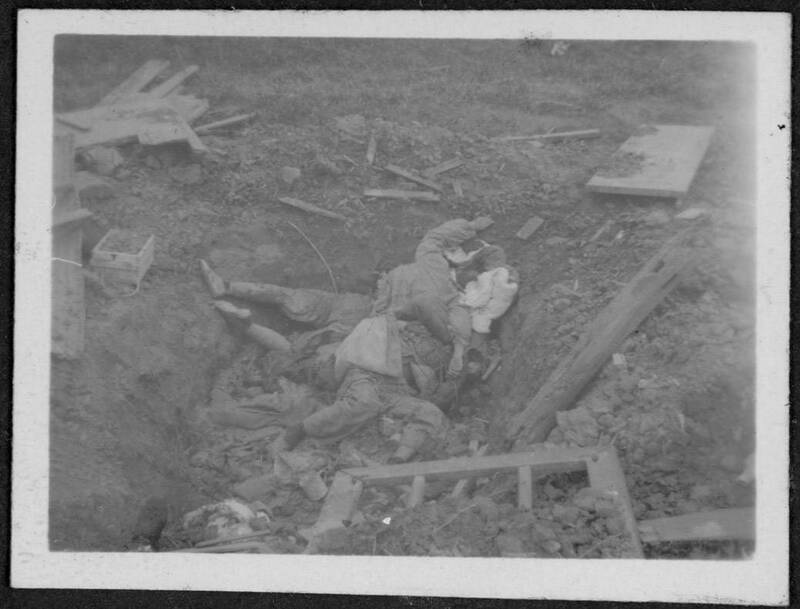 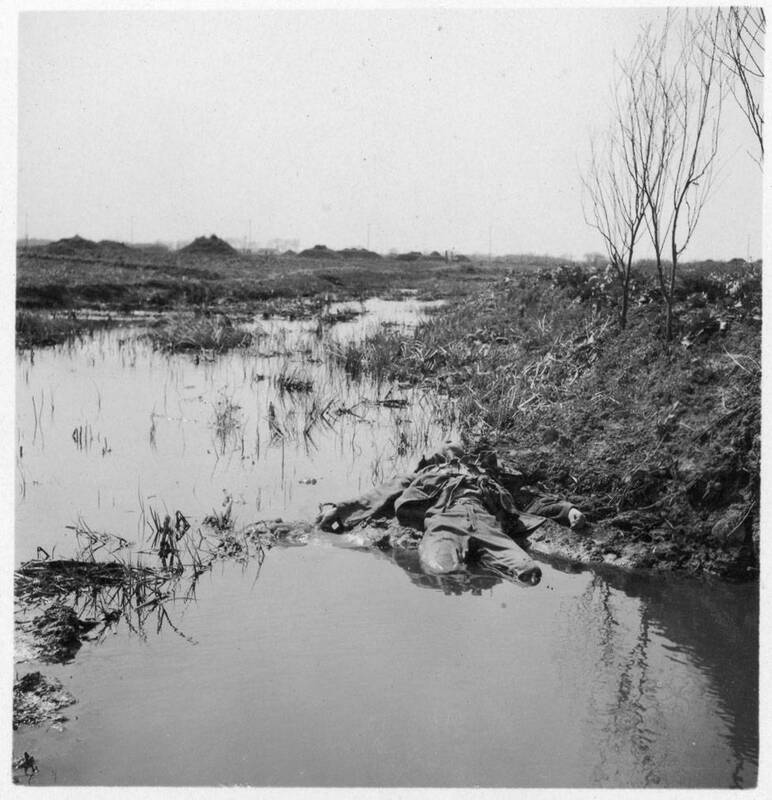 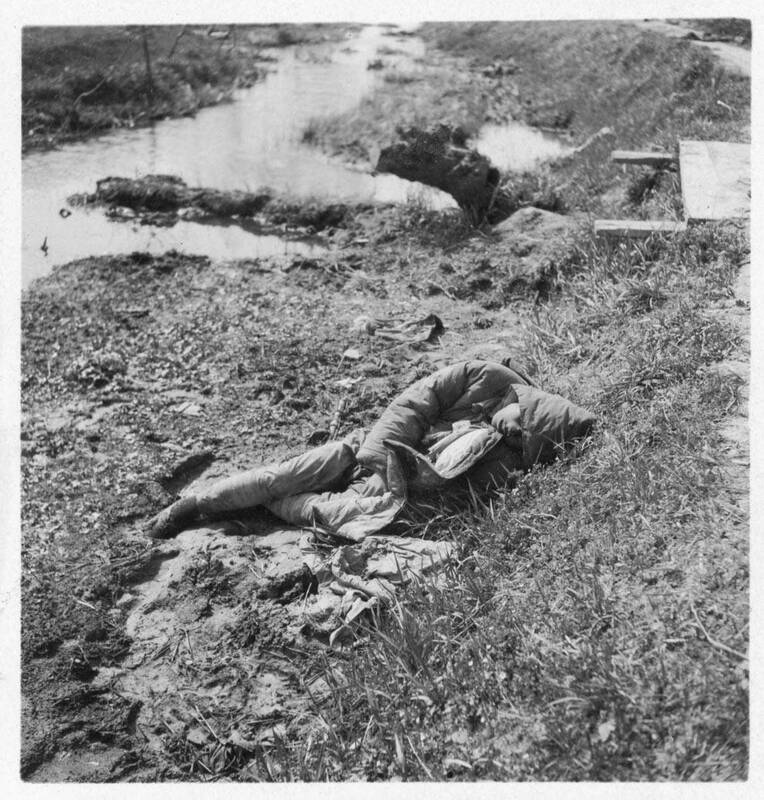 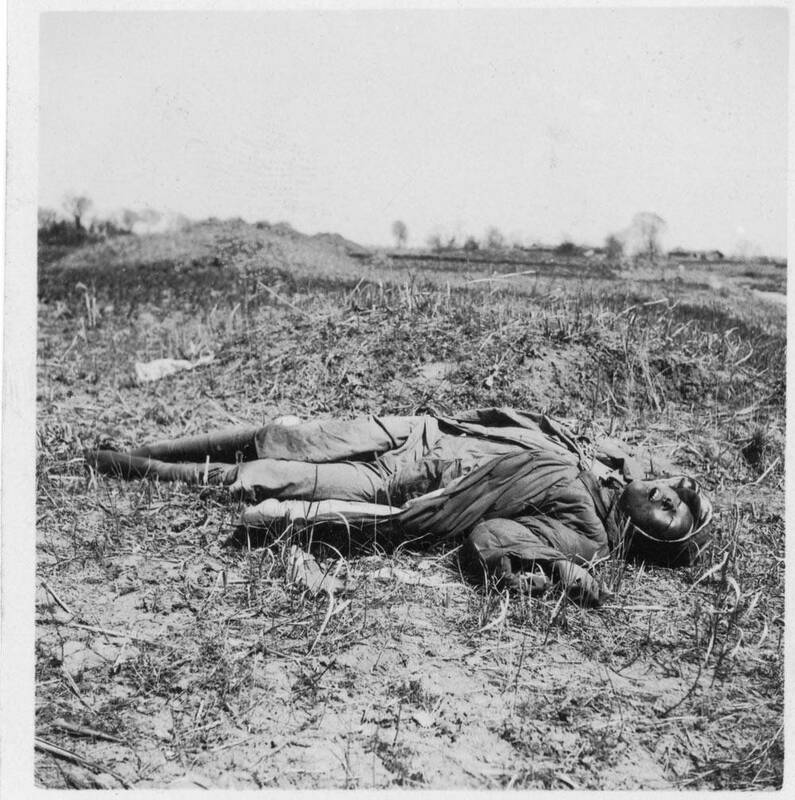 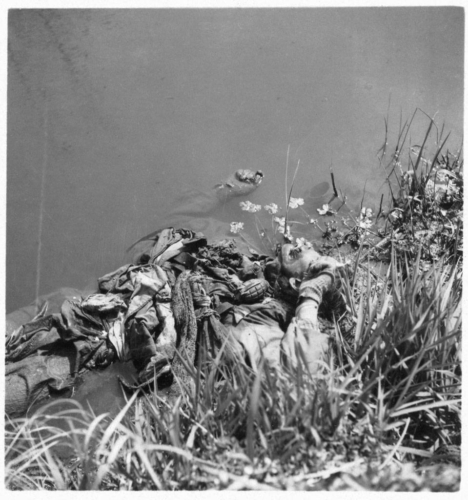 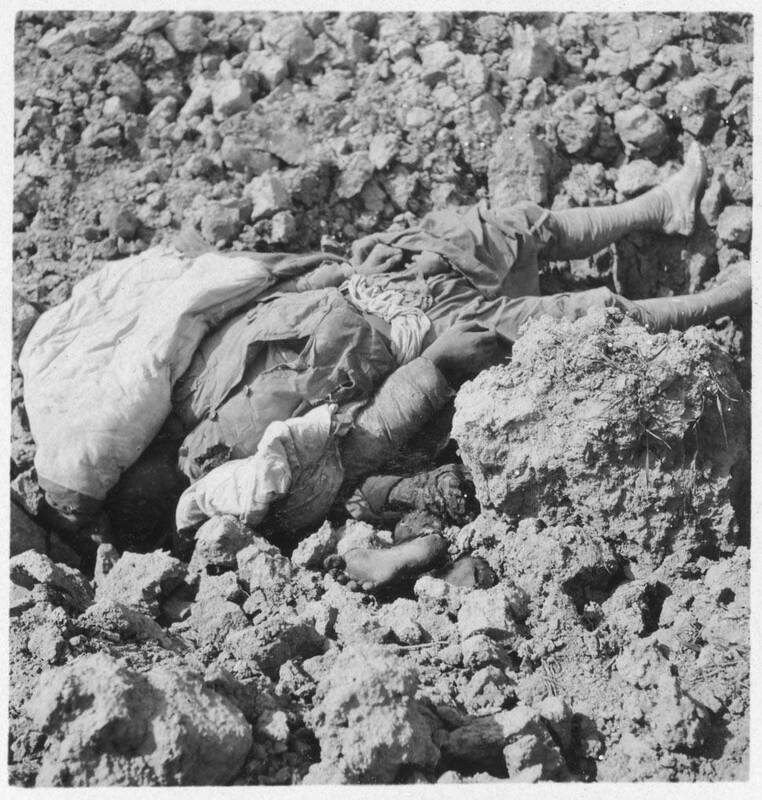 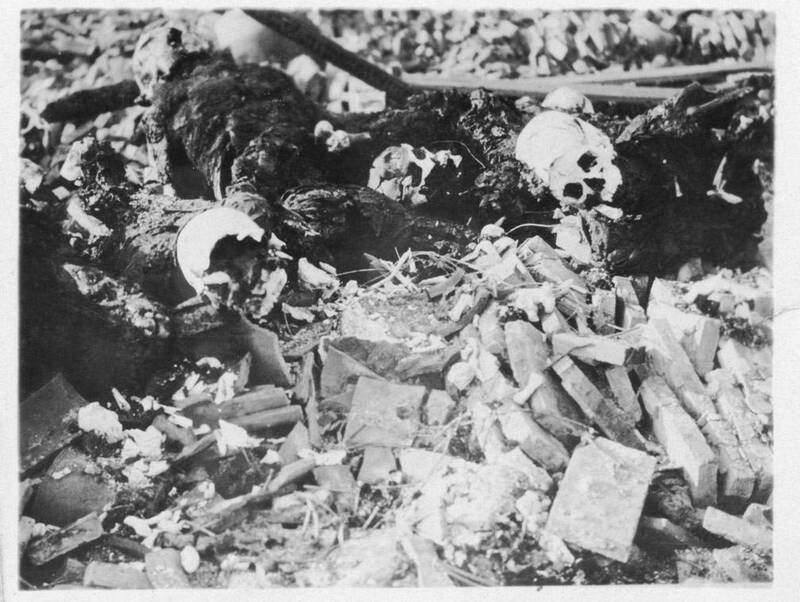 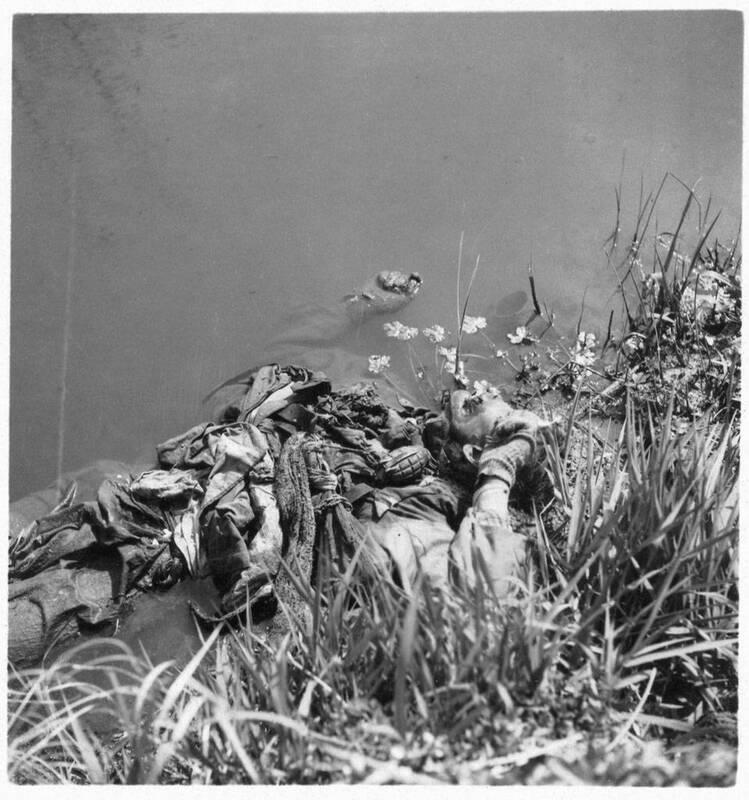 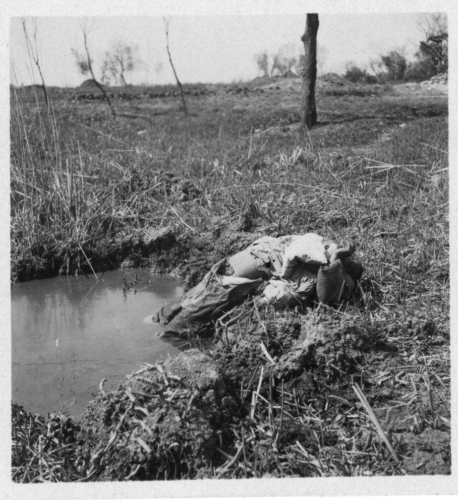 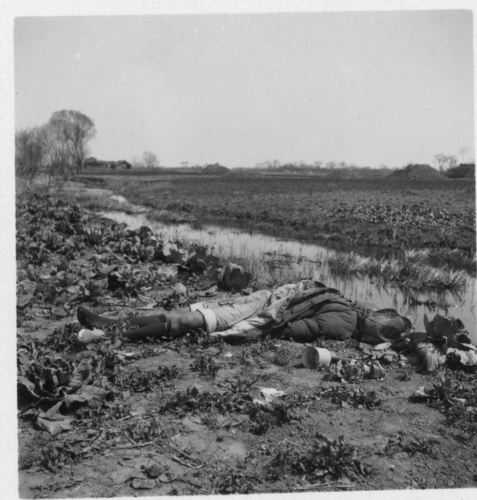 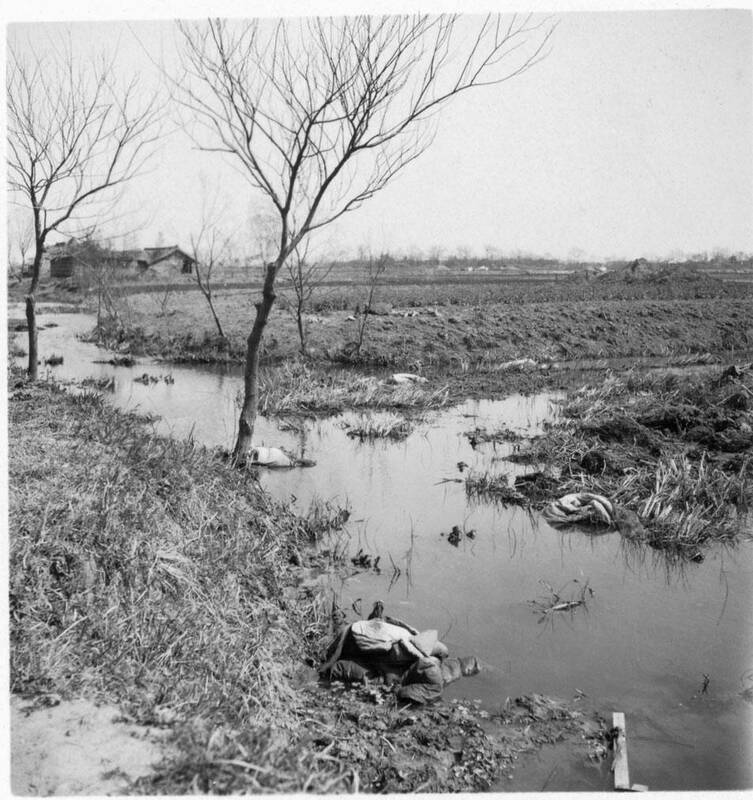 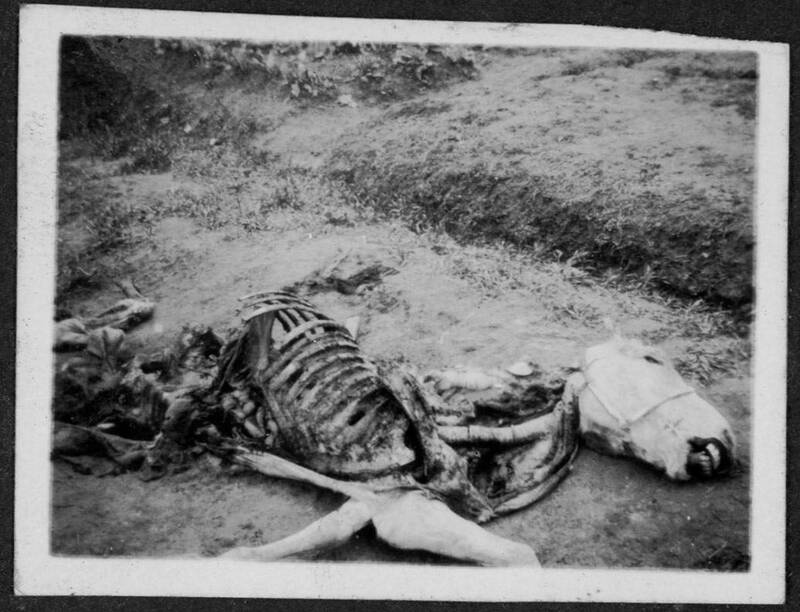 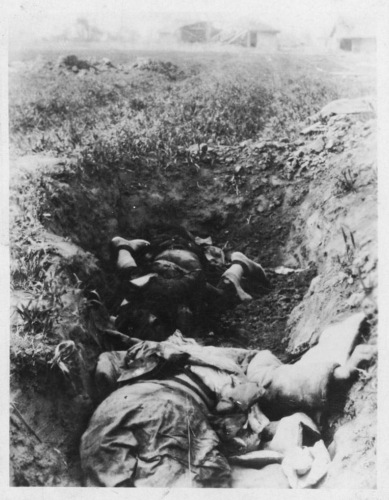 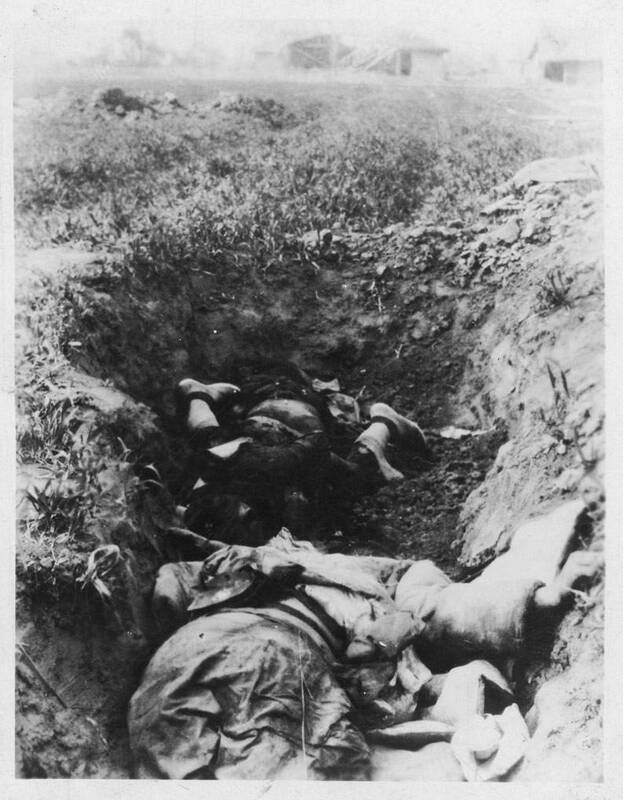 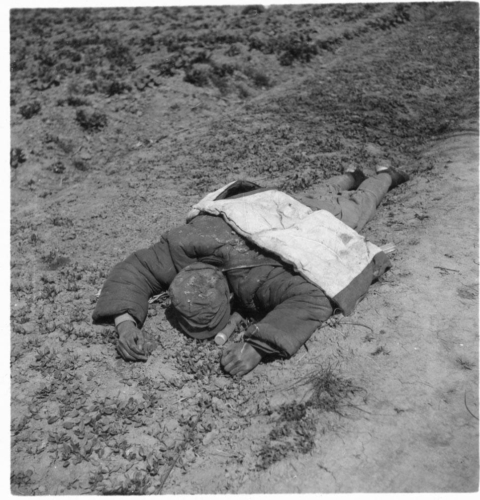 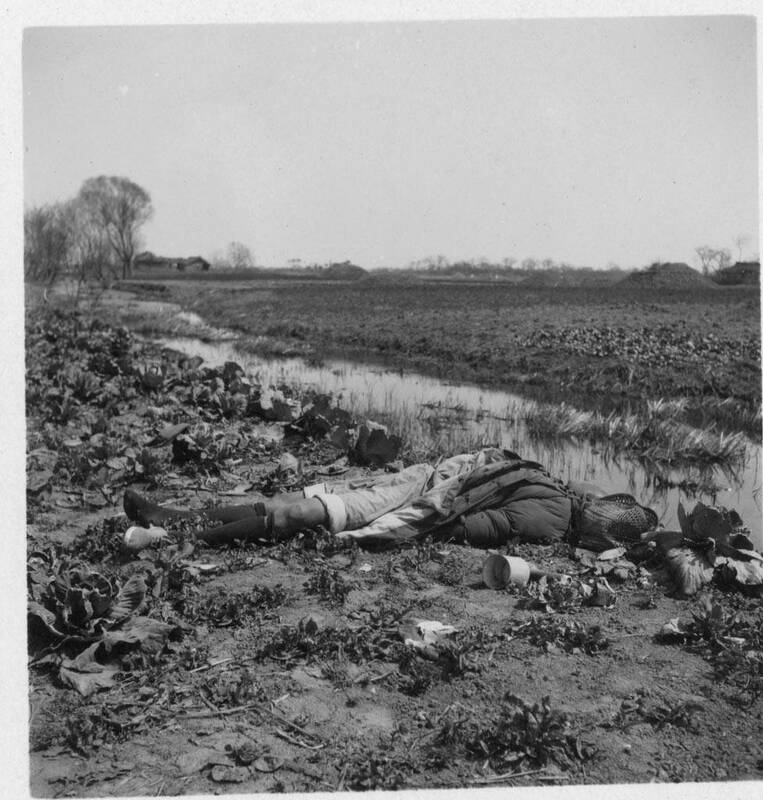 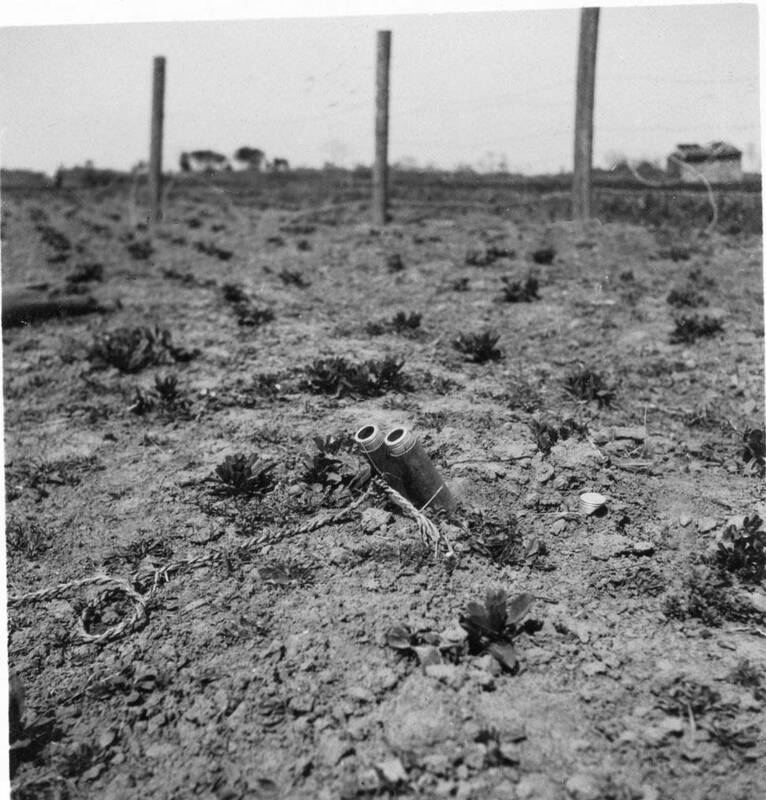 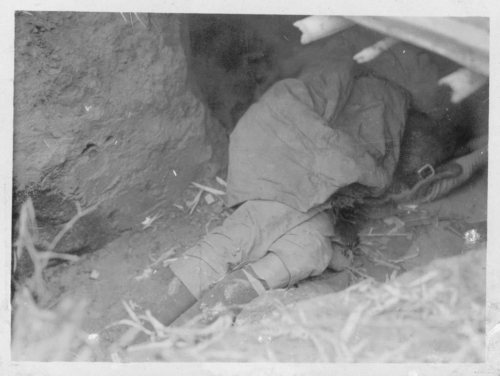 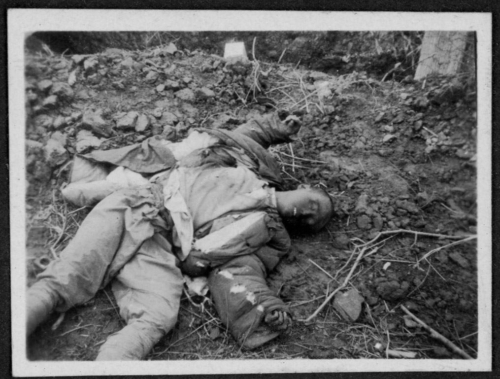 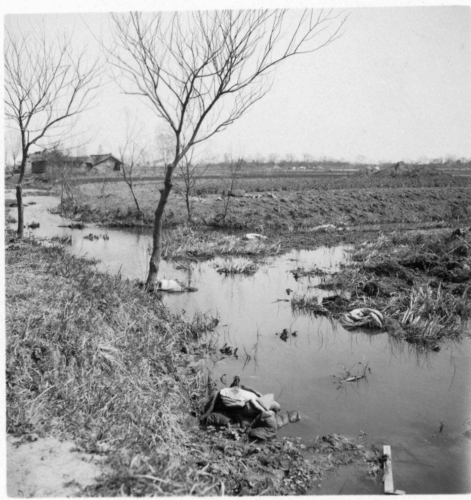 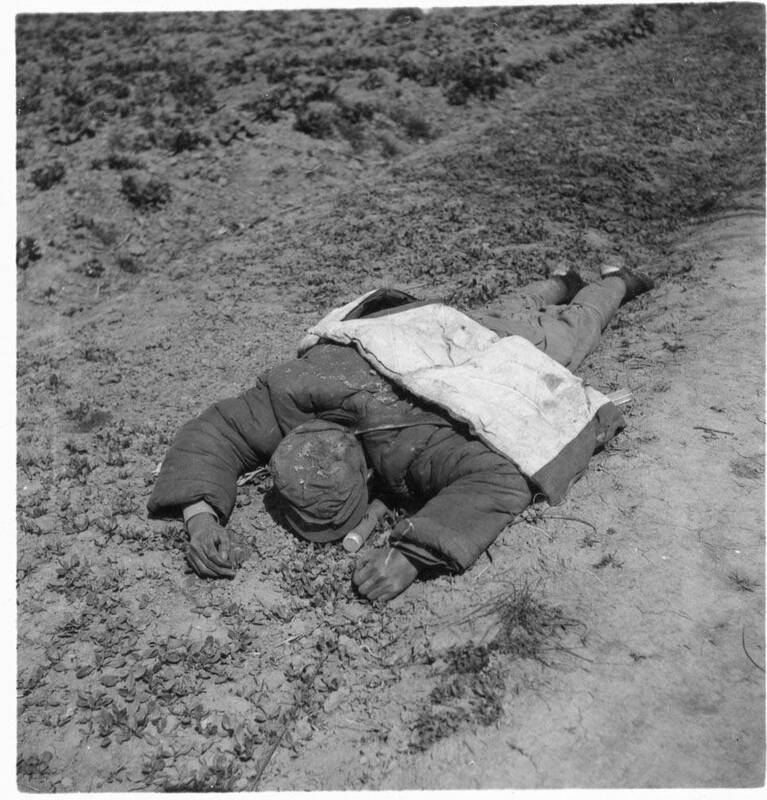 The scene was the same – the skeleton of a horse (img100), the bodies of Chinese soldiers in the ditches, irrigation canals and the fields of Kiangwan (img101-119 & 169-172) and the discarded machine-gun bullets and other munitions (img240). The damage was inspected by those who drove north to take a look (img213, 215, 219, 221 & 234-239). 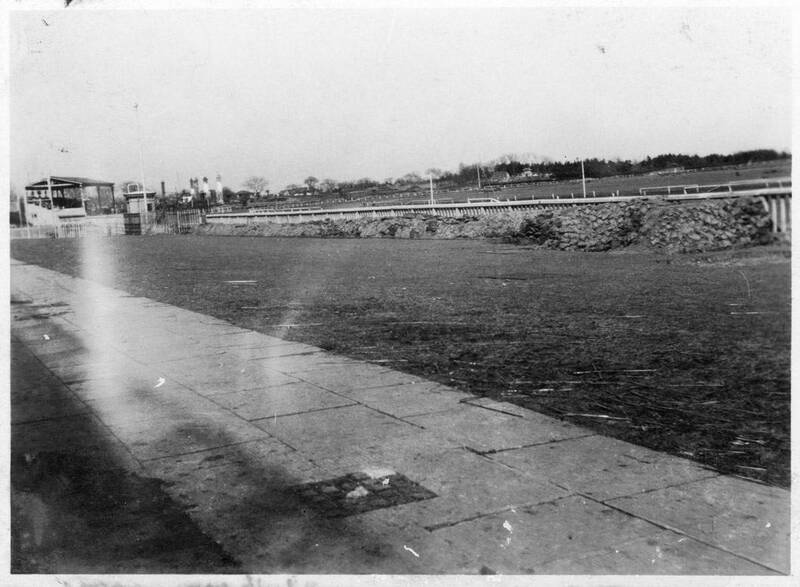 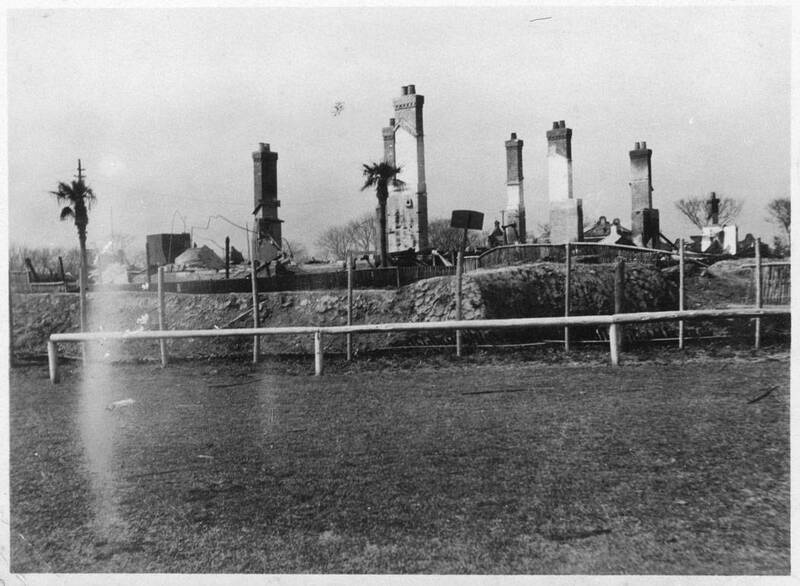 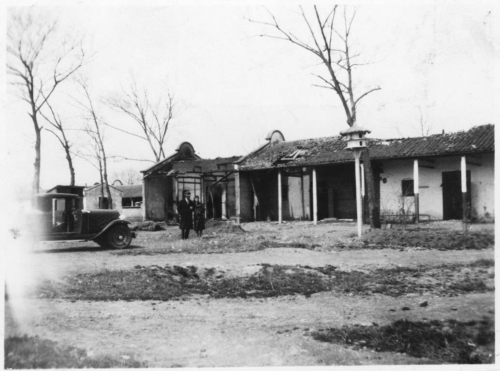 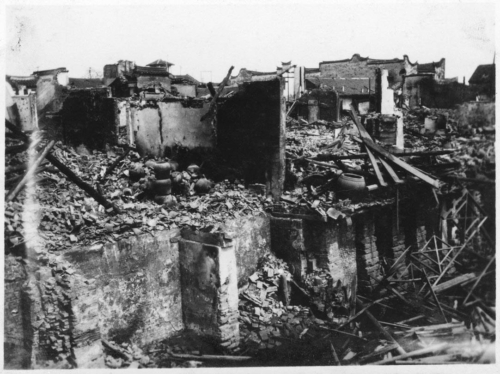 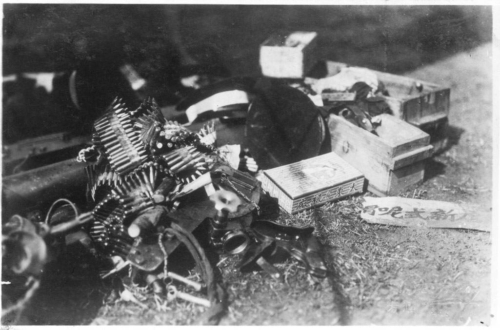 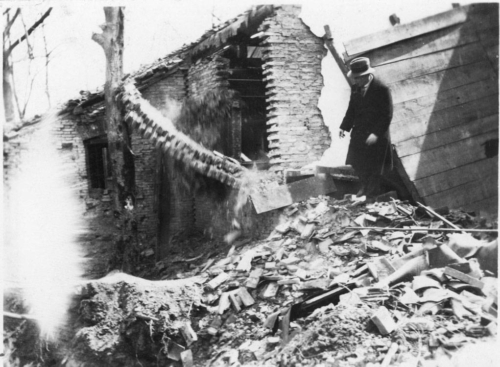 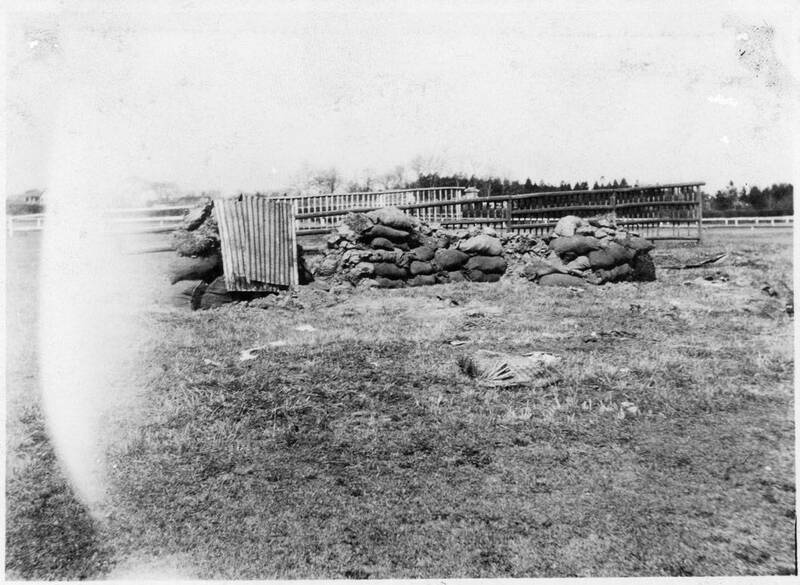 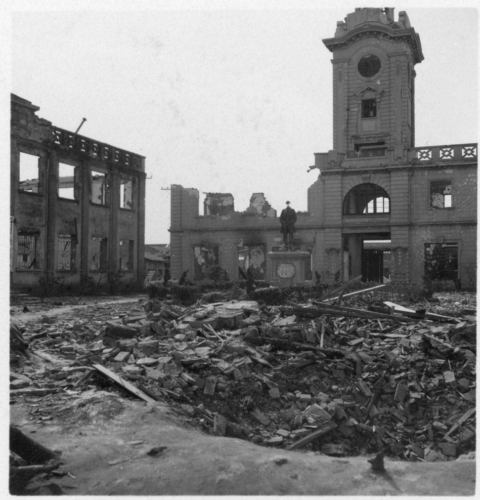 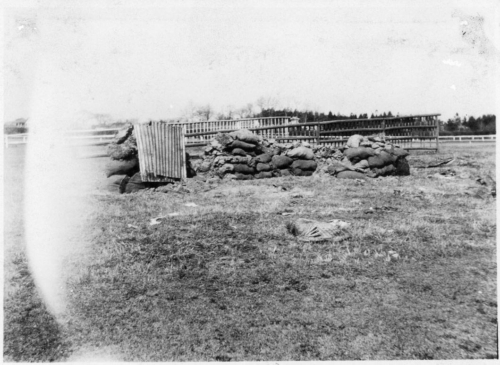 Some of the damage was at the Kiangwan Racecourse (img172, 234 & 238-239). But there is only one poignant photograph of Chinese survivors at Kiangwan (img220). 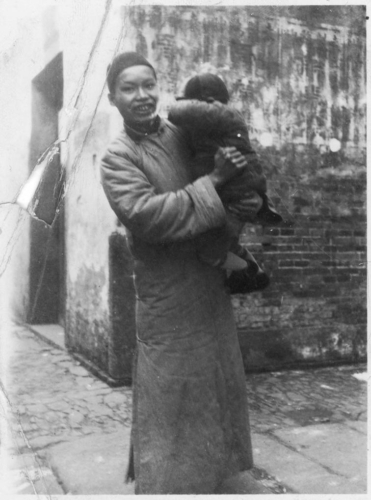 A father in his padded Chinese robe holds his child who has turned away from the photographer. 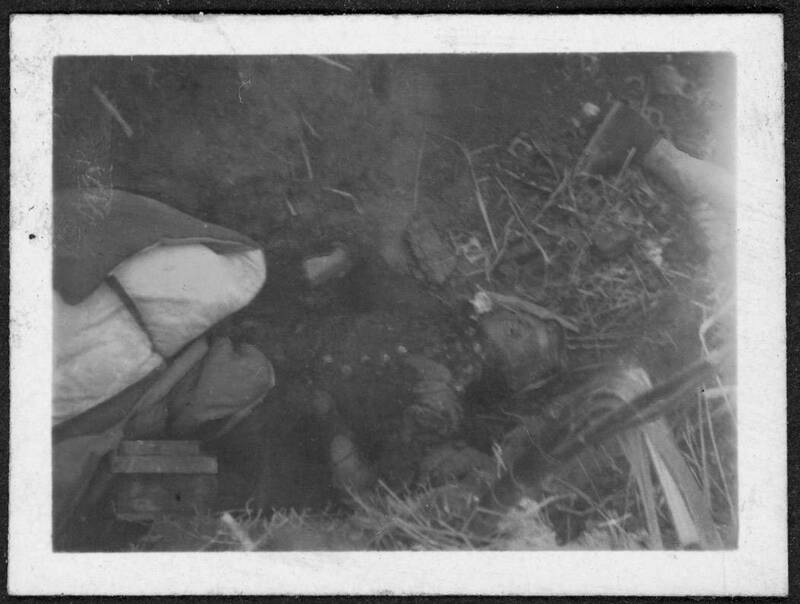 There is something odd about the father’s awkward toothy grin and his clenched right fist. 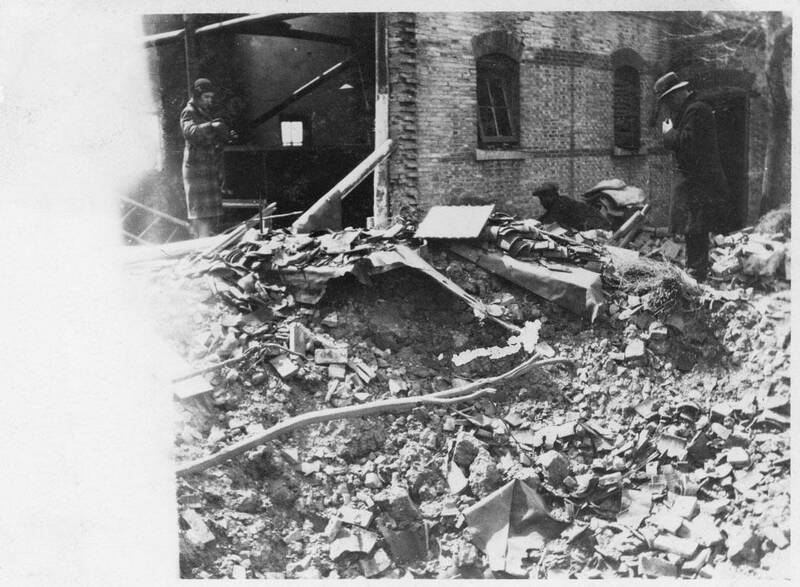 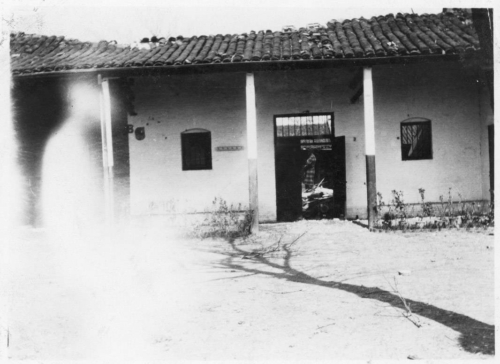 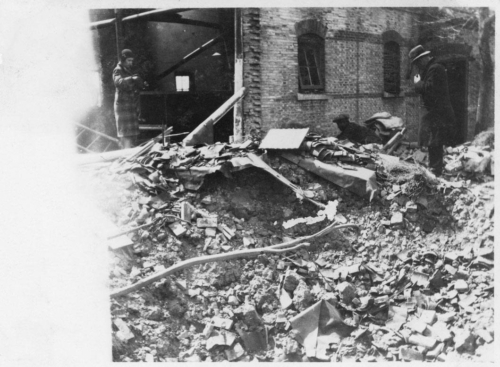 This photograph was at some point torn from its mount and placed with three loose photographs at the back of the album. 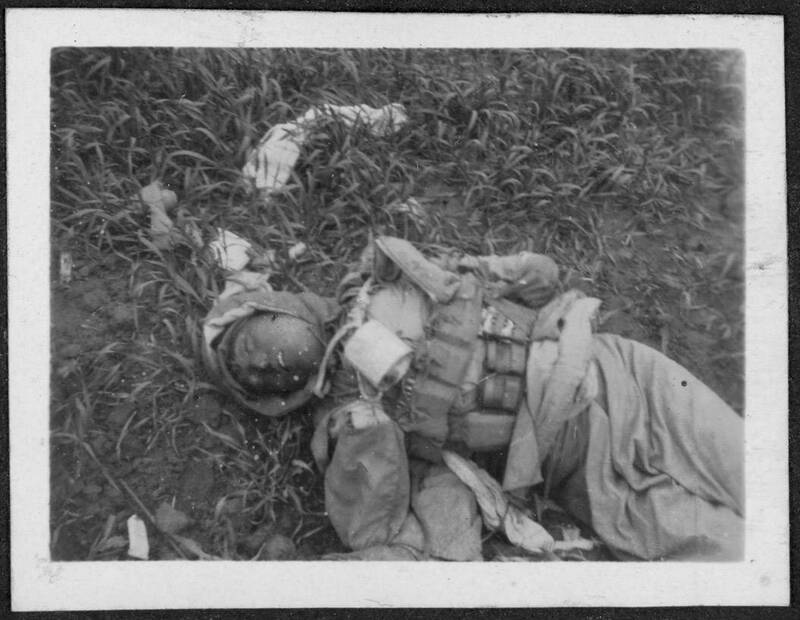 Only the torn left-hand corner remained in place with its photo corner. 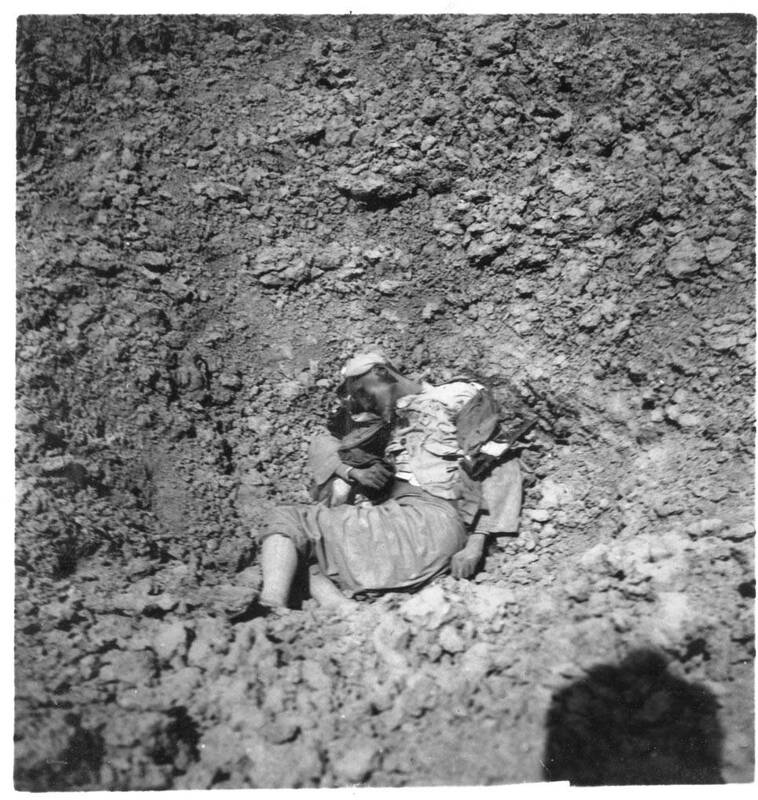 A few of these photographs were not taken by Winston. They were souvenir photos stamped with an identifying number on the back and probably ordered by number from a window display or catalogue. 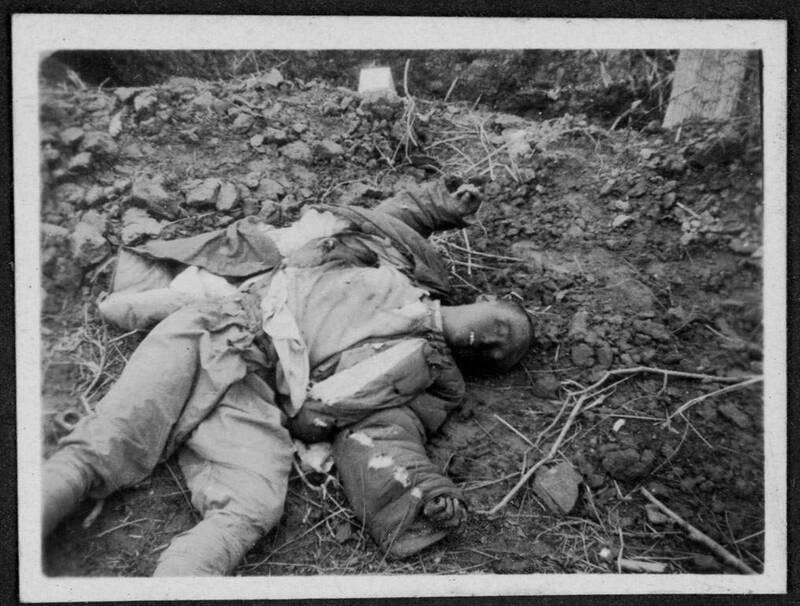 The fact that img115-119 were placed here in the album suggests that they were recognised as likely being from Kiangwan. 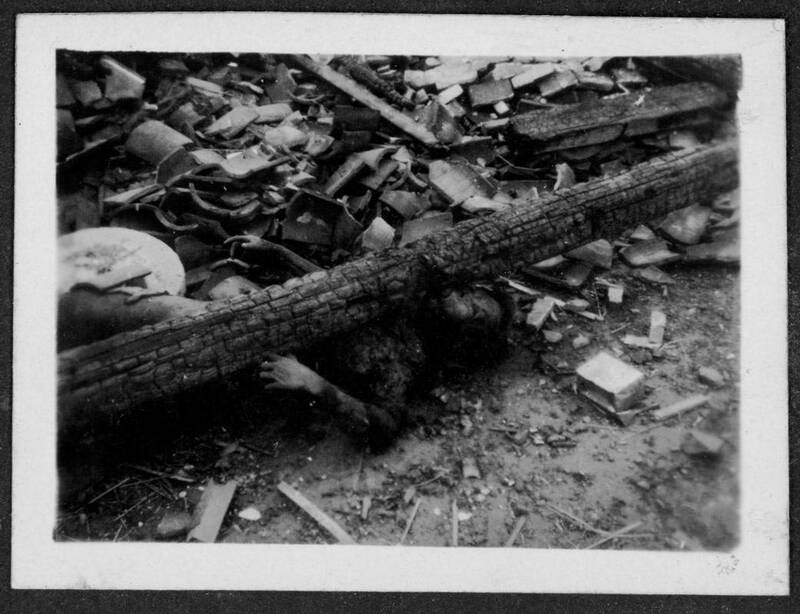 img240 could have been taken anywhere in the war zone.